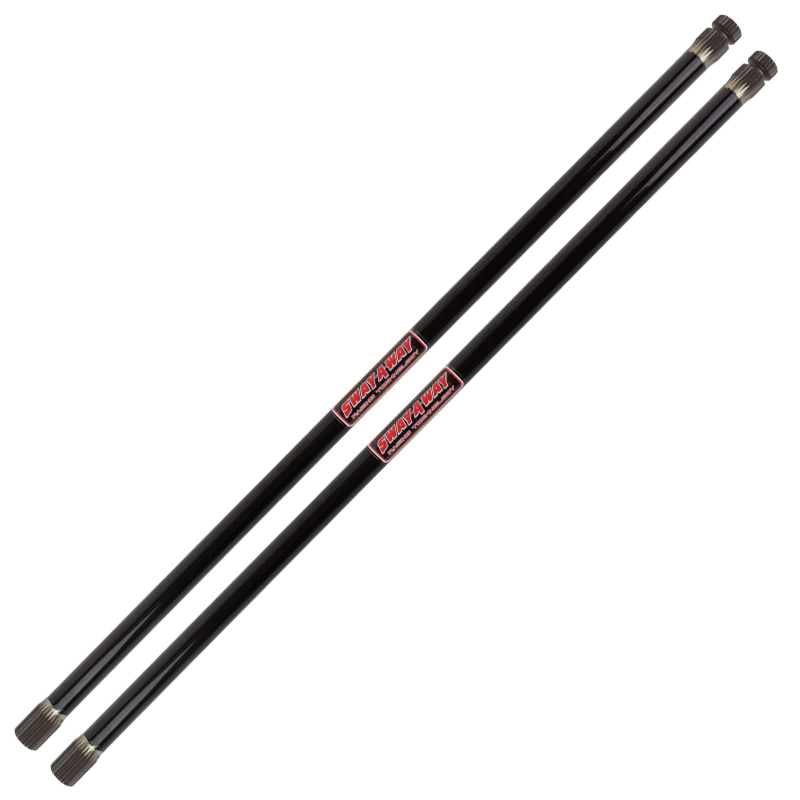 Sway-A-Way Porsche 914 front torsion bars are a high-performance direct replacement for your stock bars, available in a wide range of diameters to allow you to choose the right spring rate for your application. As with all our bars, the Sway-A-Way Porsche torsion bars are made with heat-treated aircraft grade alloy steel and centerless ground for vastly improved durability and consistent spring rate. These bars are available as a solid or tubular bar, the difference between the two being strictly weight. The inside of the tubular bar is 1/2″ and the outside diameter is larger than a solid bar of the same rate so that the spring rate is the same as a solid bar of the same diameter. There is a misconception that tubular bars respond faster. This is not the case. The tubular bar saves about 1.25 pounds per bar.